Being an outdoor sport really adds a lot of specifications to check for a pair of sunglasses. 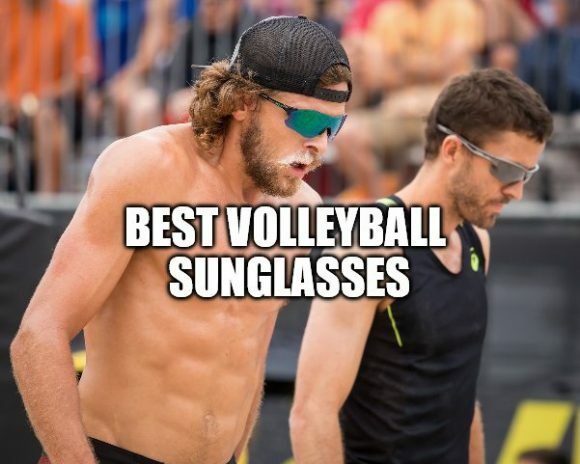 That’s why I decided to make a list of the best volleyball sunglasses that you can use. Beach volleyball glasses almost look the same. The different factors that could harm the eyes brought by the beach volleyball setting are specifically known. As such, all these factors are addressed into any type of sports sunglasses. Beach volleyball glasses may differ in form, color or feature of the lenses. In form, these glasses could be classified into wayfarer, goggles, or shield. Meanwhile the lenses could be polarized, photochromic, anti-dust and anti-fog, and may include prescription. Just like any other sport that involves impact from high velocity objects, beach volleyball glasses also need to focus on impact-resistant materials. To do this, glasses usually are made of polymers and their derivatives. Polymers are chains or blocks of molecules grouped together by intermolecular forces. Impact-resistance is attained by having the long chains of molecules lined perpendicularly to the direction of impact. Impact is a physical force that can’t break chemical bonds. Because of this orientation of molecules, the force is absorbed and re-distributed to the whole material. The lenses specialize in reducing the amount of light entering the eyes. Beaches are almost always found on tropical islands and coastlines. As such, the light from the sun directly hits this area. These places are hot and bright especially during summer. Polarization involves the use of polarizing filter where only light of specific orientation passes through. Light that is not allowed to pass through is either absorbed or reflected. As such, less photons or particles of light reaches the eye. Some lenses are coated with tints. When light hits the surface of tinted lenses, some of the wavelengths of visible light is reflected off its surface. This phenomenon results in the color perceived by the naked eye. In spectroscopic level, the wavelengths are also diminished also leading to a reduction of light. Ultraviolet (UV) radiation could be blocked by a coating containing inorganic chemicals such as carbon black, titanium dioxide, and zinc oxide. These chemicals have extra electrons that could absorb the high-energy UV radiation. These extra electrons are turned to be excited before the radiation pass through the material. However, the material could have its UV-blocking property deteriorate for time will come when all the electrons become excited. There are also glasses that may be photochromic such that it changes color according to the light available in the surroundings. For plastic lenses, organic molecules like oxazines and naphthopyrans do the trick. These substances react to UV light, also. The lenses darken when exposed to UV light for a short period of time. It will return to a clear state when exposure is removed. Polycarbonates (PCs) are the most reviewed material for impact-resistance. As such, it is best recommended for high-impact sports. Its only downside is its cost and the fact that it is not scratch-resistant. Yet, PCs are the material to look for as it can be molded into almost anything. To lessen the pressure on the temples if the ball hits the eyewear, there could be nose pads and ear pads made of rubber. To reduce slipping, these rubber pads could be hydrophilic or water-loving to have a better grip when the athlete perspires. When considering the form, most athletes prefer shield glasses. It does not only offer the utmost protection for it covers the area around the eyes effectively, but it also provides a 360° panoramic view to the surroundings. The latter reason is very important for sports involving the use of space. It is nice to have adjustable temples to fit in any user’s head. The user could also opt to have the ends of the arms tied with a band. It just needs to be ensured that there would still be a space around the sinus area to allow the air to circulate. This prevents the glasses from fogging. The lenses should prioritize reduction of light. It is okay to have smoke glasses for maximum reduction of light. Yet, amber lenses are also good for it enhances depth perception by improving contrast. Anti-glare property could be achieved by polarized lenses. Gradient is not recommended. It is much safer to have the lenses fully coated for protection. Anyhow, the athlete spends most of his or her time looking and chasing the ball. Dust- and water-proof lenses are also highly appreciated. Sand could be very annoying if it gets into the eyes or block the user’s view by sticking to the surface of the lenses. Weather could also be unpredictable, so water-proof glasses could have the key in lessening distractions from the player. Having proper glasses for beach volleyball reduces distractions and optimizes game play for the player. The athlete’s movements would not be restricted. In addition, eye injuries and diseases could be avoided. 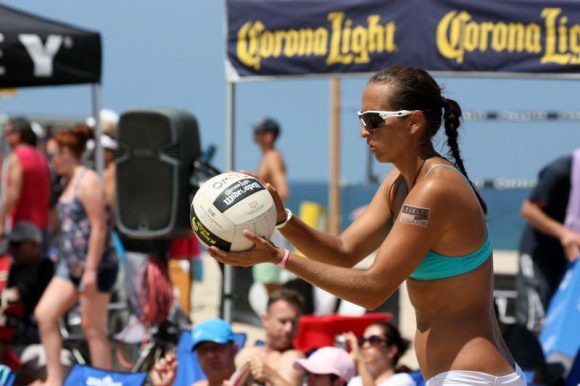 Here is the list of the best volleyball sunglasses that you can use while playing outdoors. The frame is made of acetate material that ensures durability and comfort. The color of this specific frame is black and hence making it universal. 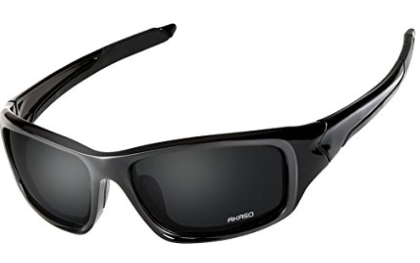 The sunglasses is extremely light making it efficient for outdoor activities. The frame weighs approximately 260g. This makes them stay attached to the users face without a risk of falling off. The frame is made from a more safe material that is durable and less prone to damages. So you don’t have to worry about the durability of the eyewear. These lenses are basically designed to protect users against the UV protection. The harmful UVA and UVB rays can’t reach the users sight thus making them effective. This sunglasses is usually efficient and best for almost every outdoor activity. This is because they are designed with a light frame and durable frames. The Tsafrer Polarized sunglasses are designed with a fine material. They also have a perfect shape to make them ideal for almost everyone. They are provided with a three point fit technology for balanced wearing. These sunglasses are provided with an anti-slip rubber nose pad. This prevents them from slipping of the face due to excessive sweating. Moreover, the nose pad gives them a unique beautiful look that most of the equivalent sunglasses lack. As if all the other features of these sunglasses are not enough, the nose pad offers comfort to the user and ensures that the sunglass is flexible. Outdoor activities enthusiasts can at least confirm this. By the way, the nose pad ensures that the sunglasses do not slip off and break. Since this material is not a metal, it is resistant to corrosion. No knowledge of chemical leaching has been observed. Thus, the frame could be concluded as hypoallergenic. Meaning, it does not cause irritation in contact with the skin. A soft rubber cushion further protects the frame from mechanical breakage and gives a comfortable feel to the skin. The rubber cushion on the nose pads and the arms also diminishes the pressure that our facial features experience when wearing glasses. Since the arms are flexible, the frame hugs whatever the size of the user’s head. It does not put too much pressure on the temples. The lower half of the lenses are not surrounded by frame. It gives additional view to the user. Just like the frame, the lenses are also made up of polycarbonate material. The lenses goes with any characteristic the frame possess. The most remarkable ones are its resistance to impact and scratch. This also leads to higher durability. What I like about these eyewear is its five interchangeable lenses. Basically, it comes with black polarized lens, yellow night vision lens, blue transparent lens, clear transparent lens, and revo multicolor lens. They can be highly useful for sports, driving and fishing. They also provide a premium protection against the sun’s harmful rays. To add on, the lenses offer excellent peripheral vision. The sunglasses are shipped together with one glass case. This accessory is used to protect the eyewear against any damage any time the user is not wearing them. The other accessory is the cleaning cloth, although this might sound too obvious, some of the companies selling similar products does not always offer a cloth. It is also important to know that these lenses are designed with a glare-free vision feature. Moreover, the sunglasses’ lens also increases and ensures clear contrast to manage a clear vision. This lens also reduces eye fatigue and offers full protection against UV400 harmful rays. The glasses for beach volleyball should fit the user’s head perfectly. These glasses could make the user ready for action – dive, jump, or block. There are much more factors outside sports that could harm the eyes so the player should invest in quality glasses. Can these glasses be made as a prescription glasses and which glasses would you recommend for indoor volleyball? I am no sure if it can be made into prescription glasses. 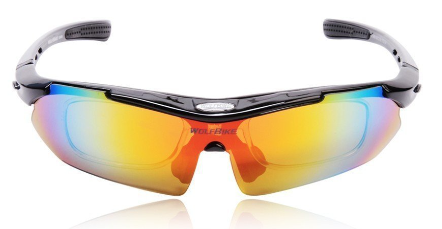 Actually, among these volleyball sunglasses, I prefer the Wolfbike polarized glasses. Great article on best volleyball sun glasses for 2018. I am always losing or breaking my sunglasses so first of all I am book marking this page for myself! Second of all I have a 15 year old daughter who has played club volleyball the last two years. We are at the end of club season but she has stated that she would like to join a beach volleyball league for the coming summer so now I’ve got a great resource for her for he eye wear! So one question I am curious about is, do you feel like there are certain styles or brands that are better for female vs. male? Actually, all of these volleyball sunglasses are unisex so you don’t need to worry about brands and styles for men and women.